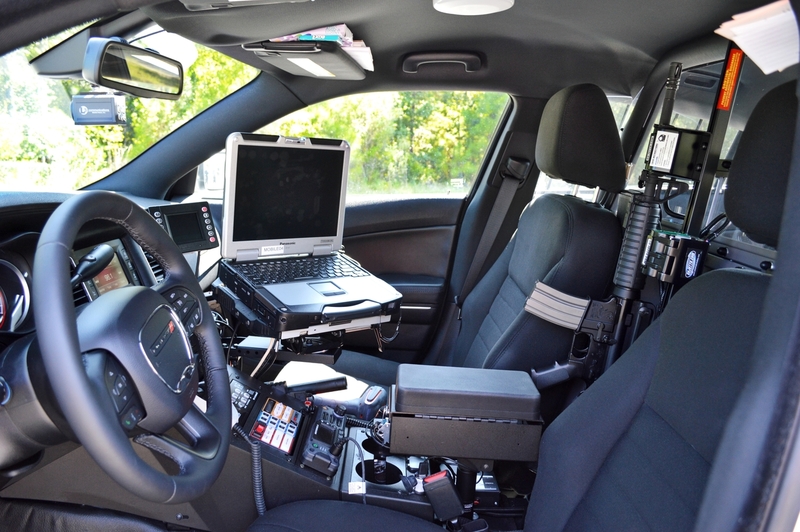 2015 Dodge Charger interior built by Global Public Safety, LLC. Columbia, MD — 06/14/2017 — Global Public Safety, LLC (Global), the vehicle upfitting and public safety technology company, announces that on June 1, 2017, an agreement was reached with Light-N-UP, LLC, a leading up-fit and graphics services company, finalizing the sale of Light-N-Up to Global, which will incorporate the acquired company into its overall operations, retaining its location in Spartanburg, South Carolina. With this acquisition, Global, a subsidiary of LB&B Associates Inc., continues the significant expansion of its public safety solutions business under LB&B leadership. Prior to its acquisition by Global, and operating out of Roebuck, South Carolina, Light-N-Up had established itself as a provider of the highest quality upfitting of police and other emergency vehicle equipment as well as unparalleled support services. Light-N-Up has built long-term relationships with its law enforcement and fire & rescue customers while at the same time becoming a leading name in the public safety industry. In addition, Light-N-Up was known for its extensive graphics capability, producing complex graphics on-site as part of responsive customer service. All these characteristics and achievements are expected to continue as Light-N-Up becomes a part of Global. Global, a division of LB&B Associates Inc., is headquartered in Hanover, Maryland. Global provides state-of-the art solutions for law enforcement agencies, federal agencies and municipalities. Global Public Safety leads the industry with custom solutions for vehicle up-fitting, mobile technology and officer safety. To find out more about Global, visit http://www.globalpublicsafety.us. LB&B Associates Inc. provides a variety of contractor services for the U.S. Government and for commercial entities, and is separated into five support areas: Facilities Management, Operations and Maintenance Services; Logistics Support Services; Simulation and Training Services; Fueling Operations; and Commercial Support Services. LB&B Associates Inc., which began in 1992, now has 1,000 associates, providing a broad range of services to an equally broad range of clients, including the federal government, state governments, commercial businesses, the military, hospitals, churches, research centers, and educational facilities. LB&B Associates Inc.’s leadership has assembled an experienced team that has managed businesses large and small, and that supports a knowledgeable and accomplished on-site staff. For more information on LB&B Associates Inc., visit http://lbbassociates.com.